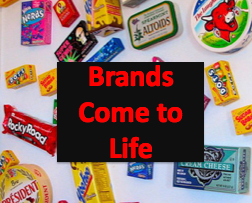 Brands must project the values and importance of the products and companies they represent. In today’s connected world filled with social media and content marketing, brands require more than a logo and a tagline. If your brand standards haven’t been updated since the rise of social media, chances are you’re leaving branding opportunities to chance. While most marketers get the need for consistent use of colors, logos and design, they’ve never think about their brands from the 360 degree, real life perspective that social media and content marketing require. (Here’s some branding tips to help you develop your brand.) In other words, how do you represent your brand in video, photographic, audio and live formats? If your organization hasn’t considered how to present your brand using these social media and content marketing formats, you should. It’s important to reassess and redefine your brand for presentation in these media. Here are seven points to consider. What language does your brand speak? This brand element applies to text, audio, video and live events. Remember that your language should sound like something that comes from a real person, not corporate gibberish. Who does your brand talk like? Is it a hipster or professional? What type of audio ticks does your brand have? Is it male or female? Does it have a regional accent or dialect? Or does it have a foreign accent like Geico’s gecko? The Moviephone guy, by example, is broadly recognizable. What visual cues and/or context does your brand need? For many brands, this is often incorporated into their store signage and conference booth. Think of the white look of Apple stores. For social media and content marketing, this translates to how do you present your brand on photographs and video. What type of background and other elements do you need? Does it matter where people are engaging with your brand? Who is your brand spokesperson? Is it a special person like the Old Spice man or is it a member of your senior management team? How do they dress and what special quirks do they have? Is it a real person or a character like Flo from Progressive? Who is your brand mascot? It is a real person, a cartoon or an animal? What makes them stand out in a way that’s identifiable with your organization? How do you brand your employees? While this sounds funny, many companies do it without thinking about it. What type of clothes do they wear? Remember you must think of the type of clothes? Are they dressy or casual? For example, Trader Joe’s employees, known as crew members wear, Hawaiian shirts while Home Depot employees wear orange aprons? As a marketer, you need to consider how you want your brand to be represented in video, photographs, audio and live events. With expanded use of social media and content marketing, this is increasingly important to provide effective branding for your products and organization. Are there any other brand elements you think should be added to this list? If so, what are they and how should organizations use them? Tags Brand, content marketing, Social Media. Bookmark the permalink. Nice points on making certain that businesses understanding that branding is more than just a logo. Branding in 2012 and beyond will benefit those businesses who become more human. I love the clip in Art & Copy where Leo Clow, Jeff Goodby and Dan Wieden talk about brands as people and how fun they would be if there were people. Obviously we can interact with them now and the more human and brand sounds, the better. People want that connection! This is so interesting, branding is everything and these tips have truly helped my boss develop a brand for herself. As a brand that is for national and international clients having a brand that speaks out to different languages is crucial. I also believe that having a great brand spokesperson is key to maintaining and developing a strong brand. Thanks! Thank you Heidi, As I am creating my own product as I type, I am so happy I came across your blog. It looks like I need to go back to the drawing board a bit and refresh what I am doing. These points certainly helped me so much. I’m re-thinking my “brand” that I am currently creating.